Is Sarah Palin The Next Oprah? Today, in the Washington Post, media columnist Howard Kurtz wonders if Sarah Palin is gunning to be the next media empress. She’s got a multi-year gig at Fox News. She just signed a deal with Discovery’s TLC for a documentary about her native Alaska. Her memoir was a runaway bestseller. Last summer, Palin told the press that she planned to stay in national politics, despite fleeing from her post as Alaska’s governor. Her return to TV as a Fox News contributor stirred up speculation that she’d be running for president. Although any Fox News personality is likely trying to raise their profile and control the national conversation more than anything else. Now that her TLC show is in the works, Palin might find better success as a media personality rather than a political leader. Niether conservatives or liberals can come to a definitive conclusion about Palin: Some love her, some hate her, some love to hate her. But there is no doubt that they like to comment on her. “As Noam Scheiber so deftly detailed in 2008, the former governor is in large part defined and driven by her bitterness toward and resentment of those she suspects are looking down on her. 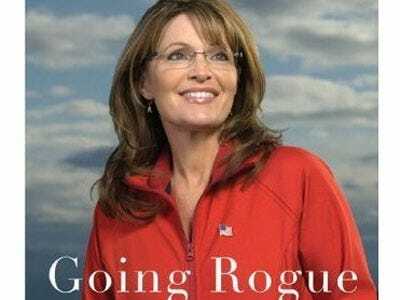 During the White House race we certainly saw ample evidence of Palin’s paranoia, self-righteousness, anger, and penchant for playing the victim. And there is no shinier star in the conservative firmament. Period. With this kind of cred, it’s unsurprising that Quinnipiac found that 72 per cent of Tea Partiers view Palin favourably (versus 33 per cent of overall voters). So perhaps because Palin frames herself as an underdog, we can’t help but watch her try to dig out from under the pile of criticism. The question is if Palin can make a media career out it–and if she wants to.